These online programs are designed to be completed over several days or weeks. 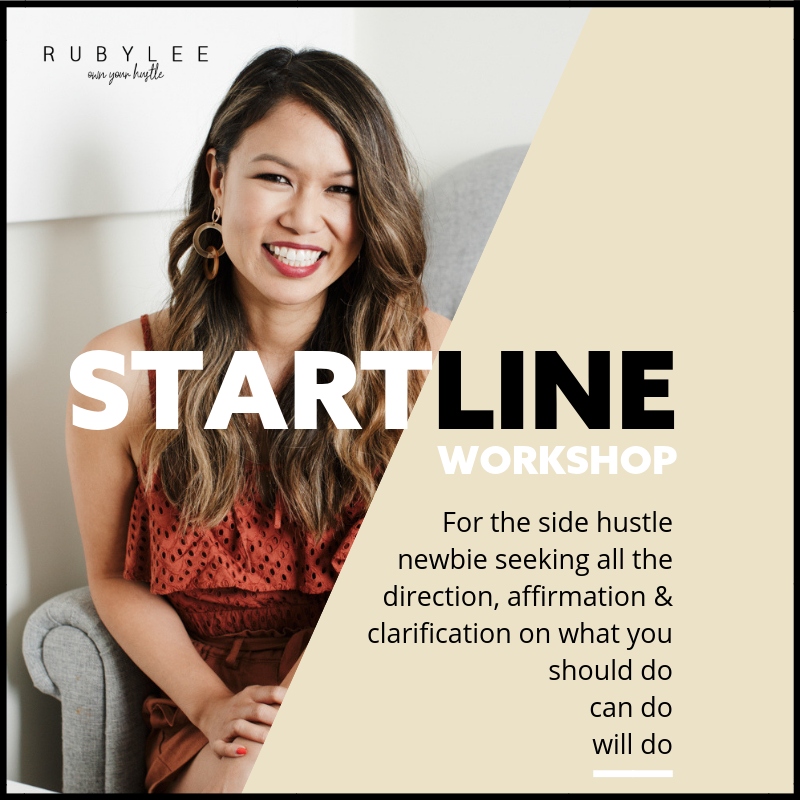 They are self-paced and really deep dive into your hustle, focussing on both practical strategies and mindset work. Choosing Your Best Idea For Hustling - do you have so many ideas but not enough clarity? Or are you the opposite to this and have no idea what to do? No problem, we will find and validate your best idea and get you off the start line no matter what your experience level is. 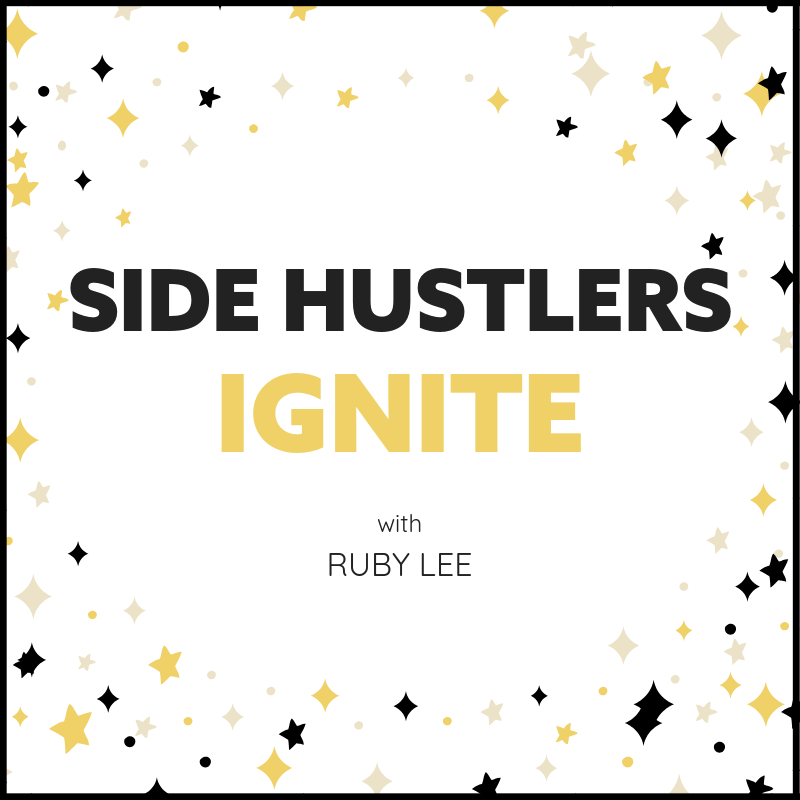 Overcoming Side Hustler Blockers - these come in all shapes and sizes. These are the limiting beliefs that we have let creep into our mindset, preventing us from taking charge and launching our side hustle confidently and proudly. Let's tackle these together. 10 Ideas To Get You To Your StartLine - no more procrastinating. No more hanging around the back. It's time to move yourself up to the front and onto your start line with these ten action taking ideas. Perfect for the side hustling beginner. Intention Setting - 40 minute session - No more dancing around the sidelines, it's time to get in the game. No more waiting to be recognised for your skills and talents, it's time to take action. No more being an observer, a supporter, a fan of others - time to play like you own it. Money Mindset - 65 minute session. Let's look at how you can monetise your hustle. Let’s talk about how you can start to sell and price yourself. Let's map out the different offers you can make. Daily Habits - 50 minute session. How to create momentum and flow in your hustle. Where to find those pockets of time to work on your business. How to breakout of any indecision to make real progress. You chose the extraordinary life. You decided a long time ago that you need to create this purpose-led hustle. It’s time to enter a new phase and commit to committing. Perfect if you're ready to slingshot your side hustle. Personal Brand Boss includes group coaching calls with Ruby as well as access to her via two-way voice messaging. This is a 30-day, 4-week online program for the up and coming coach who wants to blaze their own trail.